The secret to getting the sand off is baby powder. Here this young boy clearly had a baby powder incident. Not sure if he was covered in sand or just wanted to make his mother crazy. I love the thoughtful look on his face while contemplating what he did with the baby powder. 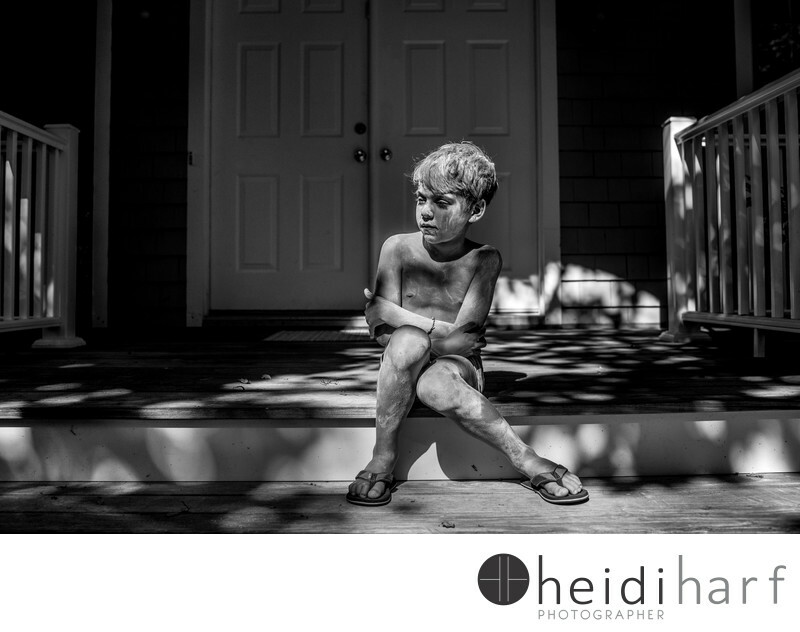 This is one of my favorite environmental portraits taken in the summer in the hamptons.